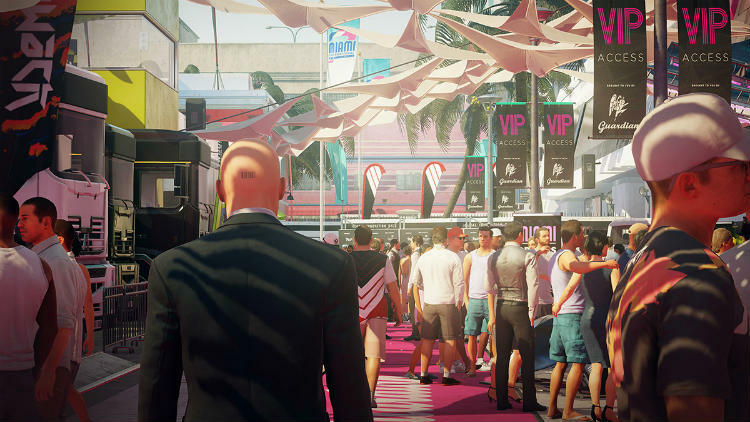 Hitman 2 is the follow up to 2016’s successful reboot of the Hitman franchise. Available for the Xbox One and PlayStation 4, you re-assume the role of Agent 47—a finely-honed contract killer. You embark on a journey to hunt the super elusive Shadow Client and take out his militia once and for all. With new game modes and a constant stream of of free live content, Hitman 2‘s ever-expanding world could very well be the best in the series. Hitman 2 offers a complex story filled with many twists and turns to keep you on the edge of your seat. It takes place after the rebooted Hitman of 2016, which was episodic in nature. Agent 47 is on the hunt, and his mission is to put an end to the mysterious Shadow Client along with his henchmen. If you didn’t have the chance to play 2016’s reboot of the Hitman franchise, that’s ok. Hitman 2 includes a summary of the events that took place, so you don’t have to worry about missing out on any of the story. 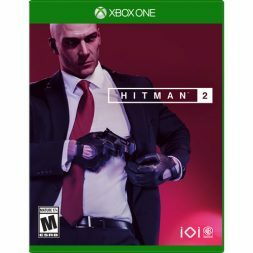 I really think this was a great idea by IO Interactive because it allows you to enjoy Hitman 2 without having played the previous game. 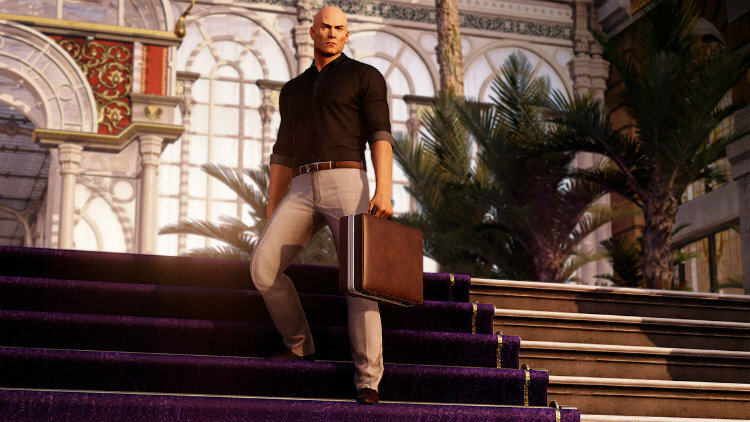 Hitman 2’s story unfolds over the course of six different missions. These missions take place all over the world and range from the sunny beaches of New Zealand to a small village in Colombia and beyond. 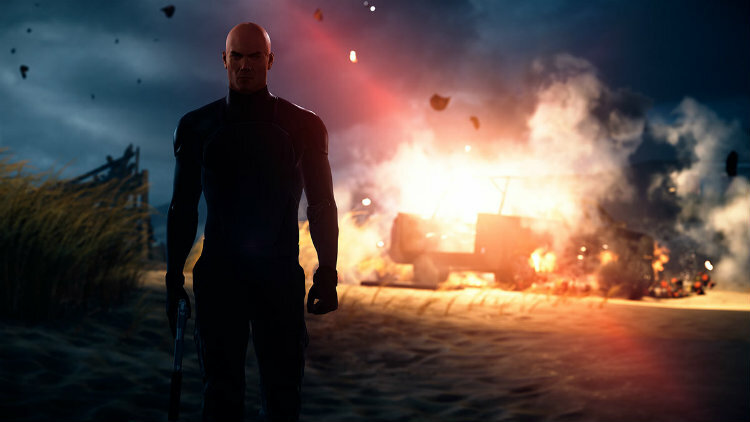 As with other Hitman games, the story can get graphic in nature and is meant for a mature audience. For the most part, gameplay hasn’t changed all that much in Hitman 2. As with previous games in the franchise, your mission is to take out your target. There is always more than one way to do this, which makes for quite an interesting adventure. In order to complete your mission and take out your target, you can use just about anything you can find as a weapon. Moreover, in order to get access to certain locations to complete your mission, you’ll have to disguise yourself to fit into the crowd to go undetected. Let’s just say that Agent 47 is a man of many different hats. 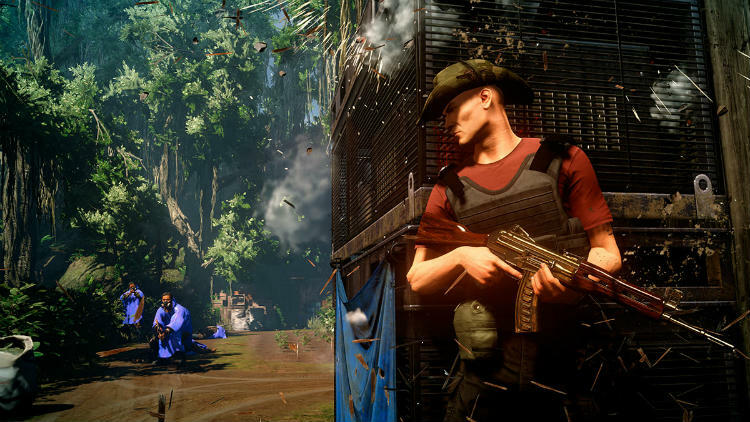 Hitman 2 features story related interactions called Mission Stories that are essentially mini self-contained stories within your main mission. 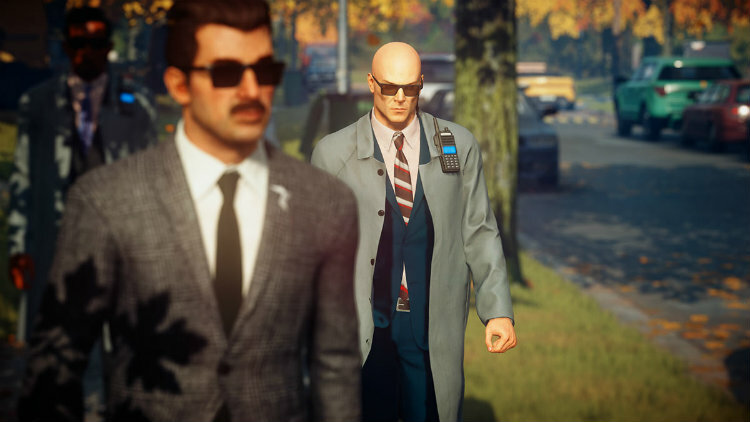 For the most part, these Mission Stories guide Agent 47 close to his target and the end result can lead to some truly glitzy eliminations. For example, while walking around in Miami I got wind of mechanic talking about his work on cars. The more I listened, the more intrigued I was about the potential opportunity of driving one of these cars he was talking about. I followed him into the washroom, and when nobody was looking, knocked him out and put on his clothes. I then proceeded back to the repair shop and used one of the cars, which was in for repair to take out my target. Moreover, each of these Mission Stories allow for multiple different ways to be played out. It’s a really neat feature that adds to the replayability of the game. Hitman 2 uses IO Interactive’s in-house Glacier 2 engine and is quite impressive. They did a great job at making sure that each of the six locations you visit are varied and look completely different from one another. I was amazed at times just how much was going and the amount of detail included in the world around you. The varying characters in crowds are superbly animated and their life-like animations are very convincing. On the Xbox One and PlayStation 4, Hitman 2 runs at 900p and 1080p respectively. Both offer a pretty stable 30fps performance. On the other hand, the PlayStation 4 Pro displays Hitman 2 at 1440p with an option to unlock the frame rate from 30fps. Xbox One X owners are treated to native 4K resolution, which is capped at 30fps. Xbox One X owners also have the option to run the game at 1440p with an unlocked frame rate. Overall, the game looks great across any console that you play it on—it’s easily the best-looking game in the series to date. After you have finished Hitman 2’s main story mode, there are several other modes to keep you busy. Once such mode is called Elusive Targets. This was first introduced in Hitman is filled with contracts containing custom-created characters for a limited time. Offering the ultimate challenge, once your target escapes, they are gone for good—there are no second chances. Ghost mode is a multiplayer mode where you play against a friend online. Whoever can take out five targets first is declared the winner. This is by far the most competitive mode of all in the game. You see, when your opponent takes out a target, you have a certain amount of time where you must take out a target or you will loose. It’s an interesting concept that can be quite intense. However, the mode I enjoyed most was Sniper Assassin. 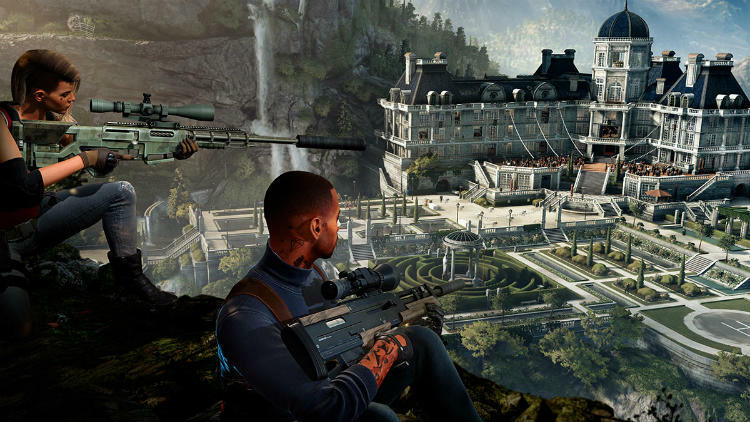 This is a cooperative multiplayer mode where you must take out three targets along with their bodyguards using a sniper rifle within a certain time limit. It’s a great way to pickup techniques on taking out your targets. While Hitman 2 isn’t revolutionary gameplay wise by any means, it is easily the best game in the franchise to date. The varied locations, new gameplay modes and seemingly endless scenario possibilities will keep you coming back for more. I found the story to be engaging and at times kept me on the edge of my seat. 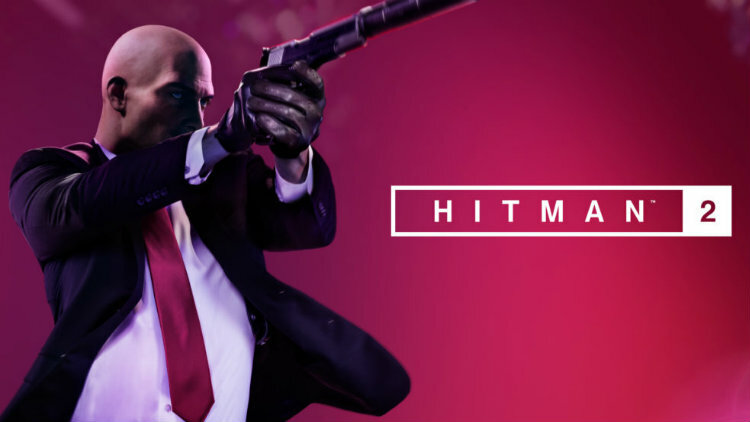 If you’re a fan of the previous games in the series, you’ll love Hitman 2. For those looking for a game that offers challenge and excitement with a dose of stealth thrown in, Hitman 2 is definitely worth checking out.